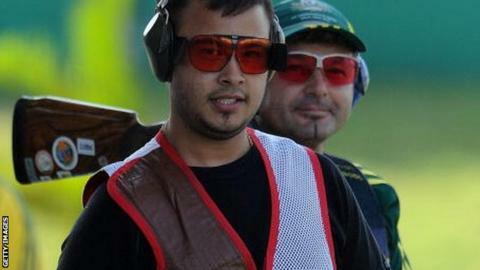 Britain's Aaron Heading missed out on a medal at the Shotgun World Cup in the United States. The Commonwealth champion for England was beaten 12-10 in the bronze medal play-off of the men's trap in Tucson, Arizona by Russia's Alexey Alipov. India's Manavjit Singh Sandhu beat Michael Diamond from Australia 13-9 in the gold medal match. Fellow Brit Michael Wixey failed to progress through the qualification round. On Thursday, his wife Sarah Wixey won silver in the women's trap event.